Ashampoo Burning Studio has been one of the most popular free CD, DVD and Blu-ray disc burning or writing software that serves as the alternative for pricey Nero. Ashampoo Burning Studio 2010 Advanced is the latest version that been given away for free. Ashampoo Burning Studio 2010 Advanced can be used to create data, video, audio and multi-session CDs and DVDs, in addition to perform disc copying or rip the audio. Burn to CD, DVD or Blu-ray discs and update previously burned discs by adding and removing files and folders. Back up your valuable data to one or multiple CD, DVD or Blu-ray discs. Single backups can span multiple discs. Create slideshow DVDs with photos and video clips or author and burn video DVDs, Video CDs (VCD), Super Video CDs (SVCD) and data video discs, where video files are automatically converted to the necessary formats. Movie editor with DVD authoring – Edit and assemble movies, add transitions, titles, texts, images and background music and then burn them to DVDs. Create and burn ISO, CUE/BIN and Ashampoo’s own special ASHDISC image formats. With full-featured cover and label designer prints to labels or directly to printable LightScribe discs. Ashampoo Burning Studio 2010 Advanced is actually the free version of Ashampoo Burning Studio 9 (with full version number of 9.24), which costs $39.99. ABS2010A has the same feature sets with Ashampoo Burning Studio 2010 (ABS2010 version 9.10, without the advanced tag), with added ability to create and rip in ISO disc image format. Then click on Download-Server CHIP Online. The web browser should prompt you to download and save ashampoo_burning_studio_2010_advanced_9.24_7590.exe setup installer. If no, just click on “Zum Download” button again. Install the Ashampoo Burning Studio 2010 Advanced by running the ashampoo_burning_studio_2010_advanced_9.24_7590.exe setup installer. After installation, a registration page to register for the free CD key or serial number for Ashampoo Burning Studio 2010 Advanced should be opened automatically. Alternatively, user can also run Ashampoo Burning Studio 2010 Advanced, and select Obtain a FREE full version key on trial information dialog box. Enter a valid email address and click on Senden. New user will need to create a MyAshampoo account will be created. A registration page will be shown where some details have to be filled. Continue by clicking OK, senden button. Registered users already with MyAshampoo account are required to login. Ashampoo’s service letters will be automatically subscribed to, although you can opt-out through MyAshampoo account. An email will be sent with a activation or confirmation link. Click on the link, which will bring you directly to MyAshampoo account page. Click on “Kostenlose Lizenzen” and you will be shown the registration code for Ashampoo Burning Studio 2010 Advanced. Another email will also be sent with Ashampoo Burning Studio 2010 Advanced license key. Run Ashampoo Burning Studio 2010 Advanced, and select Enter key on trial information dialog box. Unlock and activate the Ashampoo Burning Studio 2010 Advanced with the license serial key received for full version product. 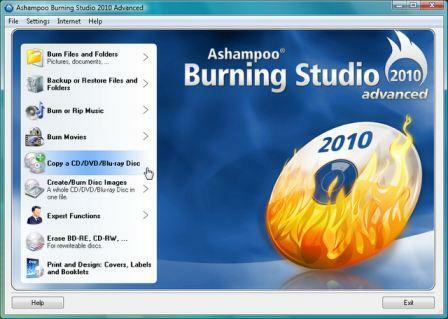 Ashampoo Burning Studio 2010 Advanced supports Windows XP, Windows Vista and Windows 7. 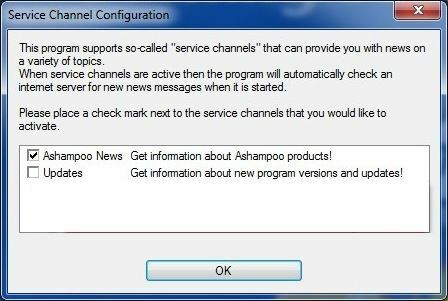 Tip 1: Unselect and untick Updates in “Service Channel Configuration” as the serial number will not work with paid version of Ashampoo Burning Studio version 10 or even version 9. If still prompted to upgrade, do not upgrade or update the software to “Ashampoo Burning Studio 10 – Version 10.0.3”. Tip 2: Uninstall any previous version of Ashampoo Burning Studio as Ashampoo Burning Studio 2010 is installed into different folder and may co-exist side-by-side with older version of ABS. Note: Ashampoo Burning Studio 2010 Advanced (latest version English setup installer is available for download) is also available free as part of Ashampoo free gifts promotion.